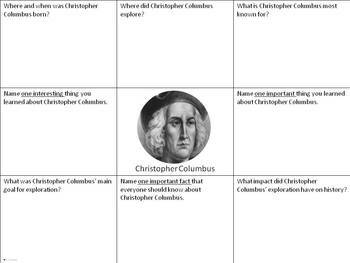 Students work in cooperative groups to learn about eight different explorers in U.S. History, then present their information to the rest of the class. 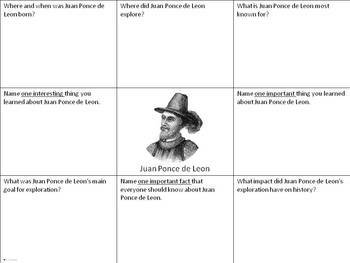 Each info chart includes a set of questions (same) and the explorer's picture. 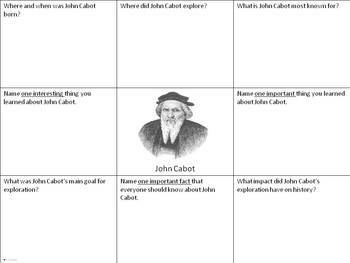 Instructions and a grading rubric is included. 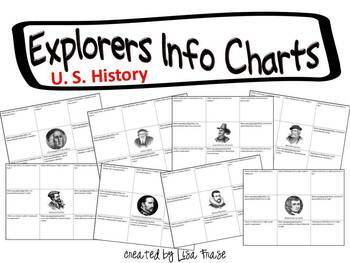 Explorers included: Christopher Columbus, John Cabot, Juan Ponce de Leon, Hernán Cortés, Jacques Cartier, Francisco Vasquez de Coronado, Henry Hudson, and Robert de La Salle.